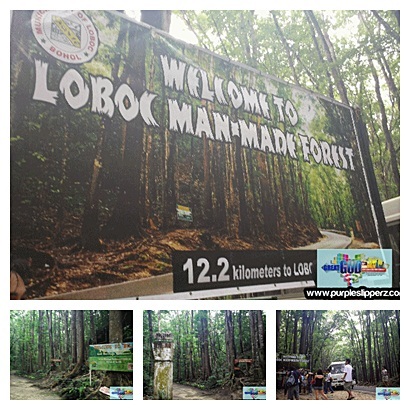 If you have been to Bohol, you might probably have passed by or stopped for a while in this cold street of Bohol, the Loboc Man-made Forest. It's a 12.2 kilometer streak of manually planted trees to make a forest. It had been well guarded and maintained both for tourism and the balancing eco-system. It's indeed a breath of fresh air when you pass this road going to the Loboc river. The air is cold too. Tourists most of the time stop by here and take few shots and jump shots. The place is so homey and humid. What to do in this part of the trip? Take pictures of you and a friend in the middle of the road. Be careful and be watchful from the approaching vehicles though. It's a bit risky, but exciting! Usually, tour guides would suggest that you should take a jump shot in the middle of the road. Another shot with the trees in the forest.